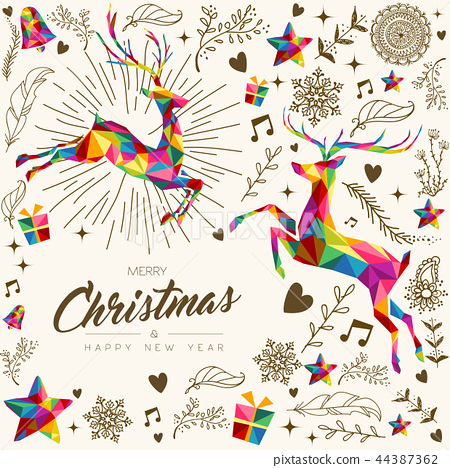 Merry Christmas and Happy New Year greeting card, colorful low poly style background with reindeer, hand drawn decoration. Xmas season illustration for holiday event. EPS10 vector.